View NC TECH's most recent newsletter - The Plugin. 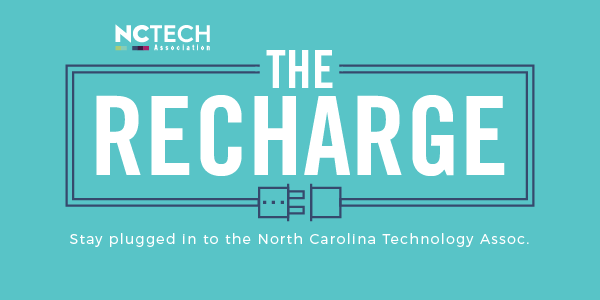 View NC TECH's most recent mid-month update - The Recharge. Raleigh, NC (March 4, 2019) – The North Carolina Technology Association (NC TECH), along with community partners Work in the Triangle, Research Triangle Cleantech Cluster and Capital Area Workforce Development Board, will host the next Triangle Job Fair on Friday, March 8, 2019 from 8:30 am – 1:00 pm at the Sheraton Imperial Hotel + Convention Center in Durham. RALEIGH, NC – February 4, 2019 – The North Carolina Technology Association (NC TECH) has released its fifth annual overview of the state’s tech sector. The Report provides an overview of the tech sector’s impact on North Carolina’s economy, including workforce composition and salary information, along with a comparison to other states in various categories. The U.S. information technology sector saw “modest job gains” in January, when 3,300 jobs were added on the heels of the more than 104,000 new software and IT services jobs in 2017, reported IT trade association CompTIA. It predicts 5% global growth across the tech sector in 2018. More than 18,000 tech businesses were operating in North Carolina in 2015, with tech employment in the state growing 17.4% from 2011-2016, according to the North Carolina Technology Association’s 2018 State of Technology Industry Report. Similarly, CBRE said in 2017 that Charlotte’s tech talent market had surged 77% over the past five years, the fastest growth of the 50 markets in the report. Burlington was one of the top two metro areas in the state to see an increase in hiring for tech jobs in January, according to a new report by N.C. Technology Association. This year, the technology industry will be a continued story of tension — man versus machine, centralization versus decentralization, risk versus trust. That was an overarching theme at last week’s North Carolina Technology Association conference in Charlotte. North Carolina may be ranked among the top 10 as far as growth in the technology sector, but there is still a long way to go. This and other topics regarding tech's future were discussed at Friday's N.C. Technology Association conference in Charlotte, preceding the release of the 2018 State of Technology.. 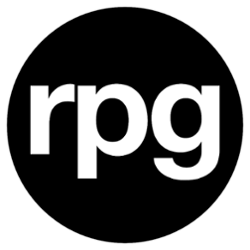 Looking to share a press release or op-ed? Featured press releases and articles in our eNewsletter give members the opportunity to spotlight their accolades and news as well as share their industry expertise on issues relevant to the tech sector. Contact Rachel Kennedy to share your news. NC TECH partners with organizations and programs throughout the year, connecting our members to local events and sharing perks such as free or discounted registration. Submit your company events for inclusion in the eNewsletter and Partner Events page to gain visibility and drive attendance. Each month, we will take submissions from our member companies and their executives to generate interview style pieces and blogs that are featured in our monthly newsletters. Visit the Marketing Toolkit to feature your organization or an interview with one of your executives in our communication outlets. Contact Rachel Kennedy for more information on e-communications, to submit news and sponsorship.